I love cooking with alcohol. I love that the actual alcohol content cooks out, yet it leaves such great depths of flavor. I’ve been experimenting with Fireball Whisky a lot lately. 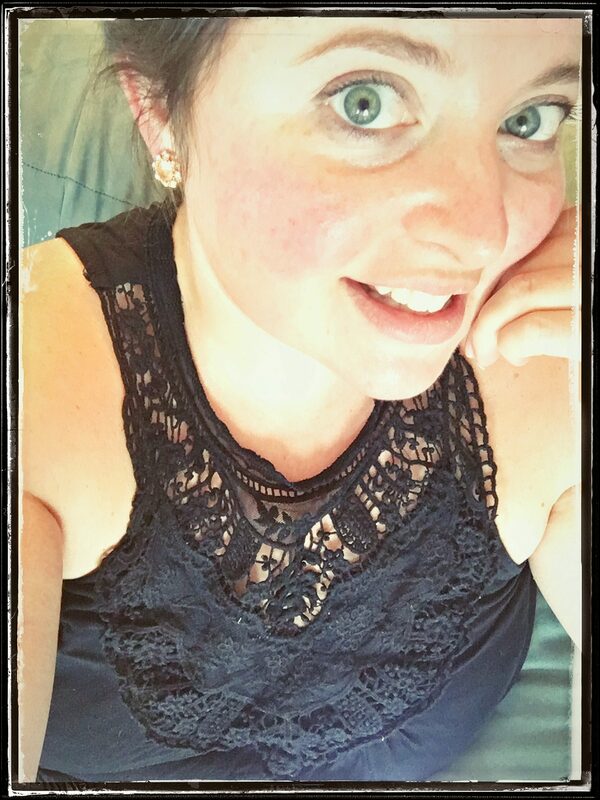 The simple cinnamon undertones it has going on are perfect! So far I’ve been able to pair it successfully with Sweet & Savory dishes. This is one of my favorites because not only is it simple enough for everyday, it’s also one of those desserts that can easily impress your friends and family! Sometimes when you go to the grocery store it can be overwhelming deciding on an apple. Generally it feels like there are an abundance of apple varieties and they all look alike! One of my favorite apples is the Gala. I love the way it taste, that it tends to be larger, and that it’s not overly priced. 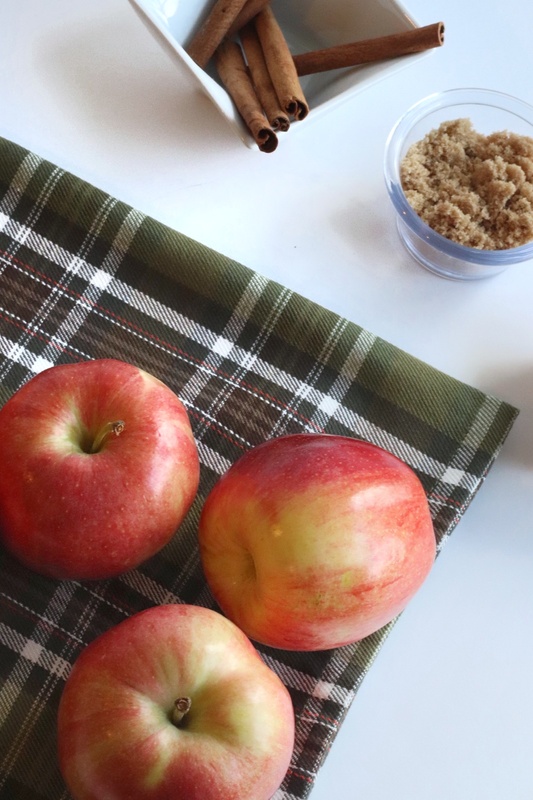 You can use any apple you’d like in this recipe. 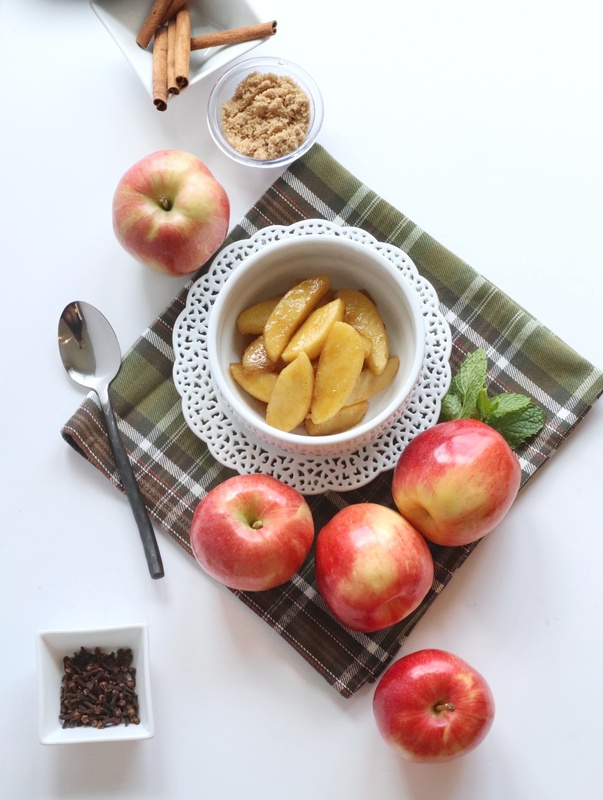 In fact, Granny Smith tends to be a popular choice for fried apples because they stay a lot firmer. But, again it’s 100% up to your discretion. Peel and core about 3-4 apples. Cut them into wedges. Set aside. In a sautee` pan add the butter and heat on medium. As soon as it starts melting add the brown sugar, vanilla, and cinnamon. Mix well. Pour your Fireball directly into the pan. Cook for about 2 minutes. Add the apples, tossing them in the sauce and evenly coating them. Turn the heat up to high. Occasionally stirring. Cook on high for about 5-7 minutes. 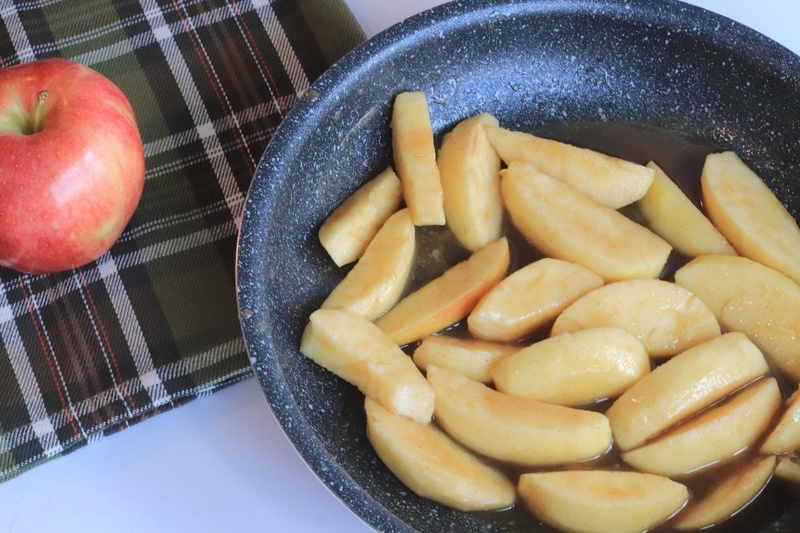 You don’t want it to burn, but you want the apples to brown and simultaneously the temperature the sauce reaches needs to be high enough to cook the alcohol content out. 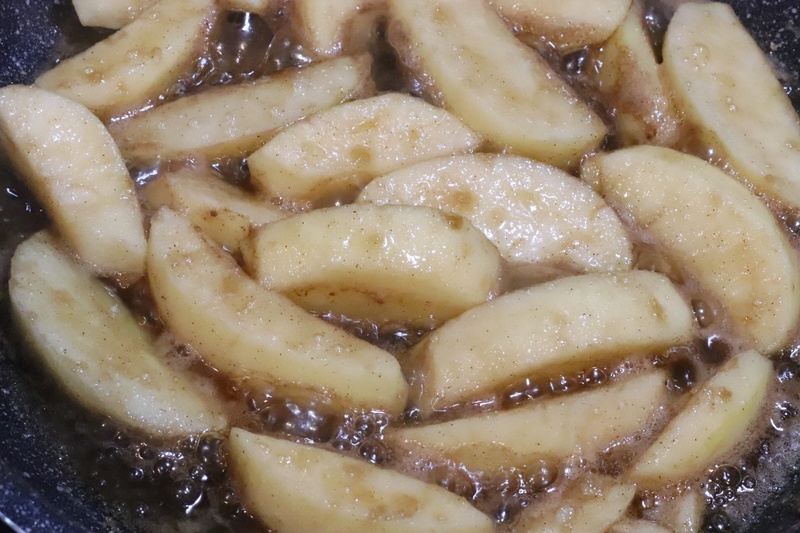 Once browned, turn the heat down and let the apples simmer for an additional 5-7 minutes. Remove from heat. 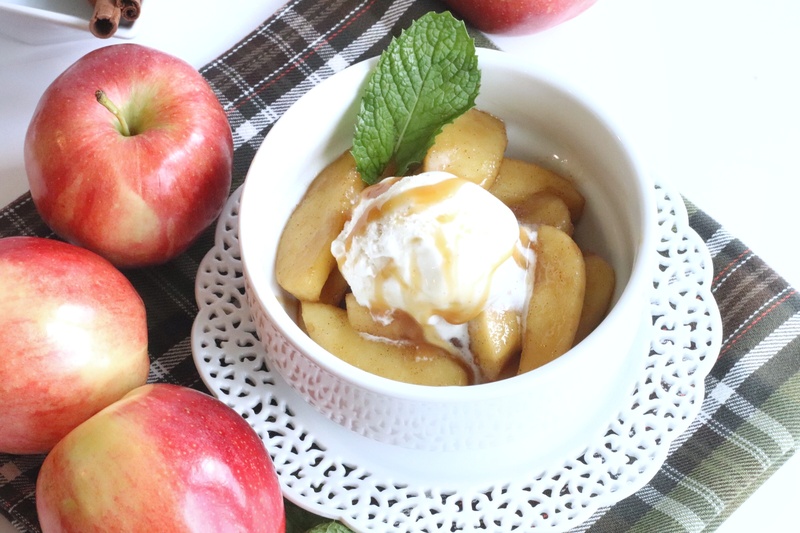 Top the apples with Vanilla Bean Ice Cream and drizzle with Salted Caramel. Serve promptly! Peel and core about 3-4 apples. Cut them into wedges. Set aside. In a sautee` pan add the butter and heat on medium. Once melted, add the brown sugar, vanilla, and cinnamon. Mix well. Pour your Fireball directly into the pan. Cook for about 2 minutes. Add the apples, tossing them about in the sauce and evenly coating them. Turn the heat up to high. Occasionally stirring. Cook on high for about 5-7 minutes. 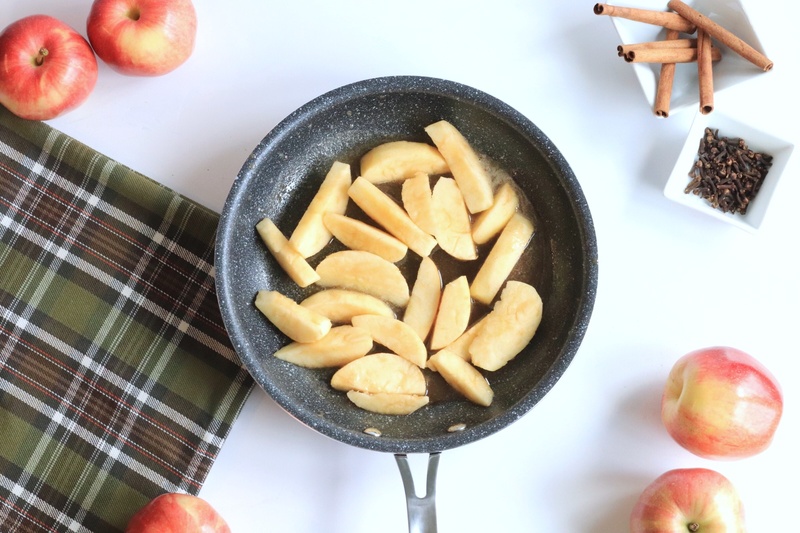 Once browned, turn the heat down and let the apples simmer for an additional 5-7 minutes. Top with Vanilla Ice Cream & Caramel. Serve promptly. Well this is a nice “adult” treat. All you need is some great vanilla ice cream…and dig in. The perfect dessert for sharing. I have just the cast iron pan ot make this in too. This looks amazing! 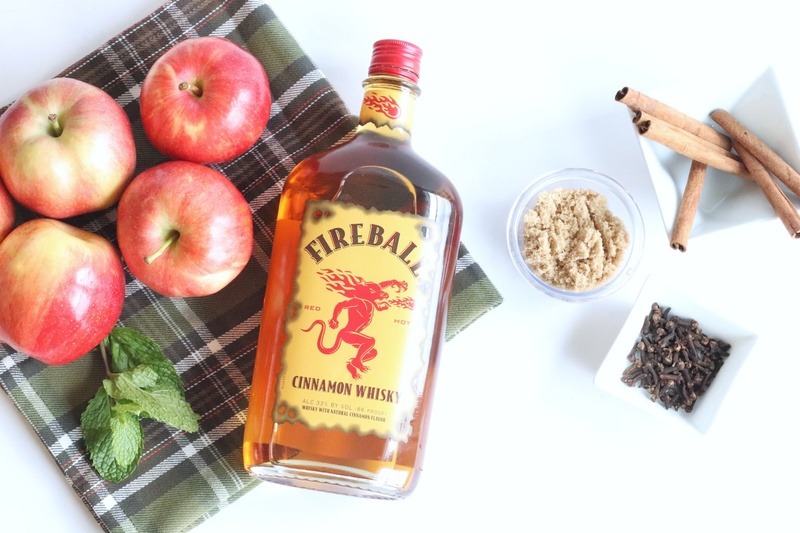 Even though I think Fireball is terrible for drinking, I never thought of using it to glaze apples or other fruits – what a wonderful idea! thanks for sharing! How fun is this!! I’m for sure going to serve this at our next dinner party. So simple but delicious! I love cooking with alcohol too. I haven’t got fireball whiskey in my pantry, but I think I need to go get some, because this looks so delicious! I love fried apples! Never tried any glazed kind but these look super yummy! I’m a firm believe that boozy desserts are the best kind of desserts. This looks perfect for the fall. Can’t wait to try them. Thanks for sharing! This looks scrumptious! I’ve never fried apples. Definitely have to try this recipe out! I can imagine how good it tastes! Love boozy desserts and Fireball is one of my favorites as it is cinnamon flavor. Goes perfectly with this combination great dessert and best when served with vanilla ice cream, mouthwatering. This is an exciting teat!!! Definitely something I would love to serve at my next party. Wow! This looks delicious! Such a creative recipe and perfect for Halloween! Haha, sinfully delicious is a perfect way to describe it! Quality recipe with so much flavor. 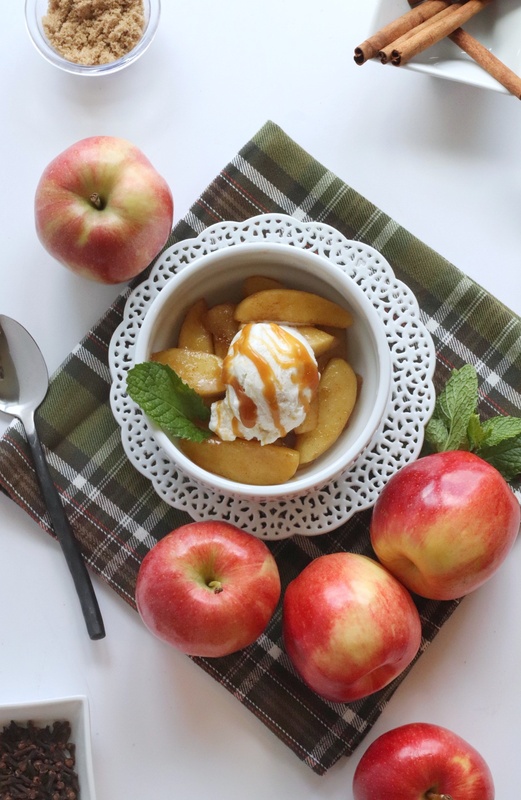 And by the way, apples & ice-cream is my favorite combination!